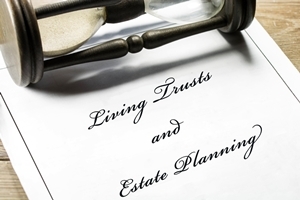 When making an estate plan, trusts are a powerful tool that you can use to protect the assets of your estate. For some estates, an irrevocable trust is a good option. But for many, a living trust offers greater flexibility while you’re alive and still offers excellent benefits for your future heirs. There are three common points of confusion about a living trust: the type of assets that are allowed in a trust; assets that should be stored in a trust; and assets you probably should not keep in a trust. Bank and other cash accounts. This includes your checking and savings accounts, as well as money market accounts. You can also put a CD in a living trust, but your bank may consider retitling as an early withdrawal, so you may have to wait for the CD to reach maturity before retitling it. Non-retirement investment and brokerage accounts. Store these in a living trust to ensure that they pass easily to your heir without probate. Alternatively, you may consider naming a Transfer On Death (TOD) beneficiary for accounts like these. Real estate. Your home and any other real estate should also be titled to belong in your living trust, even if you have an outstanding mortgage. Vehicles. Your vehicles can also go into a trust, including cars, boats, planes, and motorcycles. However, having your personal car or truck in the trust can be of questionable value. If you’re ever involved in a traffic collision and a personal injury lawyer finds a trust listed as the owner, he might make an assumption about your wealth and more aggressively pursue the case, which can cost you more time and money. Talk to your attorney about whether having your car in the trust is right for you, but generally, only high-value vehicles should be used to fund a trust. Other personal property. This includes tangible personal property such as artwork or other collectible items, antiques, jewelry, books, personal papers and effects, household items and electronics, firearms, and even pets and livestock. You should also put any trademarks, patents, copyrights, or royalties that you may own into the trust, as well as any stock or partnership interests in a business and any other money or outstanding loans that others may owe to you. Qualified retirement accounts. This includes 401(k) plans, IRAs, and other qualified annuities. When attempting to transfer these types of accounts to ownership under the trust, it typically invokes the full early withdrawal penalty, which can cost you a lot of money. The best way to transfer these assets is usually by simply naming a beneficiary on the account itself. Health savings accounts (HSA). If you have an HSA, you can name the trust as a beneficiary of the account, but the trust cannot hold title to the account. Talk to your attorney for more details. Other assets to consult your attorney about before funding a trust include any property that’s environmentally contaminated, stock options, and section 1244 stock. If you have doubts about whether or not it’s a good idea to fund a living trust with a given asset, it’s best to speak to an attorney first. Otherwise, you or your heirs may be in for severe tax penalties or other uncomfortable legal issues. The Law Offices of Molly B. Kenny has over twenty years of experience helping families create and manage their estate plans and probate issues. To talk to an attorney who can answer any questions you might have, call our Bellevue office to arrange a private consultation.